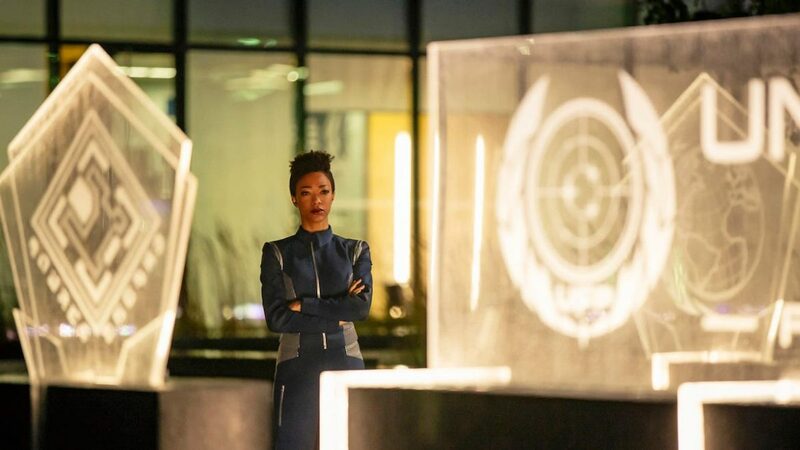 Underwhelming is the best way to describe Star Trek: Discovery’s finale, which brought this first season to a mediocre resolution, or sorts. The extended Mirror Universe arc had perhaps been too successful, because the return to the show’s core story of war between the Federation and Klingons never got the focus, depth, and narratively complexity it was due. L’Rell (Mary Chieffo) was marginalised as a prisoner of war, her lover Voq became the subject of an insane twist everyone saw coming weeks before, and even a sudden jump into the future to find Starfleet in dire straits didn’t improve matters. It also didn’t help that the last ditch plan to destroy Qo’noS to draw the Klingons away from Earth, and going against Federation values in the process, was inevitably doomed to fail because the Klingon homeworld exists in four Star Trek shows that follow this one in the timeline. Oh, prequels. 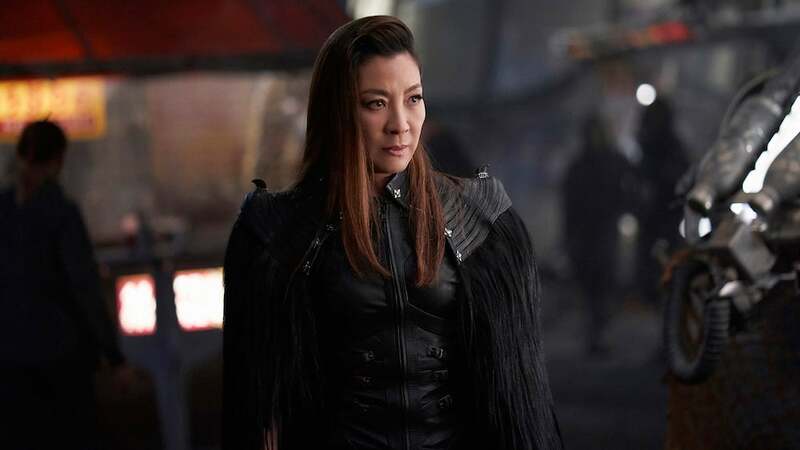 It was enjoyable seeing Emperor Georgiou (Michelle Yeoh) as the Discovery’s replacement captain, although it seemed strange Admiral Cornwell (Jayne Brook) apparently gave her free reign to do whatever she pleases in her temporary capacity as leader. Her unlikely role was suggesting the Federation can only win against the Klingons if they play dirty (so who better to lead them than a merciless conqueror like Georgiou’s “evil twin”? 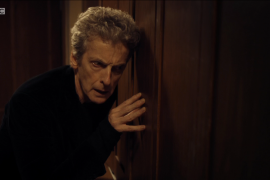 ), but I don’t think it really came together as tightly as the writers hoped. 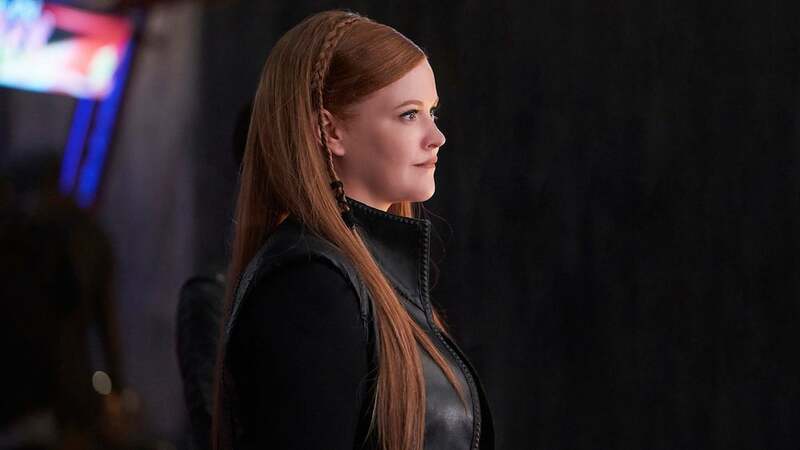 Georgiou herself had very little direct effect on the plan, and was ultimately caught trying to destroy Qo’noS with a hydro-bomb she threw inside a volcano, so the idea was so ludicrously prone to failure it just made Cornwell and her cronies look like idiots. It was an interesting idea to have Tyler (Shazad Latif) grow accustomed to having access to Voq’s memories, meaning those two personalities have a symbiotic existence of sorts. This came in handy when Tyler was part of an away team on Qo’noS, and could speak Klingon like a native and understand bizarre gambling games. Tyler’s been one of the better characters on the show, so it did seem odd to have him decide to leave Burnham and help L’Rell fulfil her destiny. The backstory about what how Burnham’s real family were slaughtered by Klingons sold the idea she’s having problems adjusting to Tyler because there’s a part of that warrior culture inside him, but by the end they’d made enough of an emotional breakthrough that I was hoping he’d stay around. But perhaps Tyler will return in season 2, as it would be strange to lose him if he’s counsel to L’Rell and walking proof that the Klingon and Federation cultures can get along just fine. 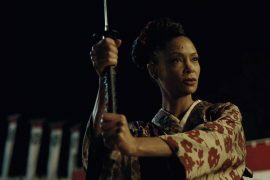 Ditto Georgiou, who was allowed to walk away a free woman in exchange for disarming the hydro-bomb, although it seems a foregone conclusion Michelle Yeoh will be back to antagonise her “daughter” Burnham soon enough. And maybe get further opportunity to showcase her martial arts, as the scene where she brutalised L’Rell in her cell was quite eyeopening. In a faint echo of Star Wars, season 1 ended with a medal ceremony where Burnham has been pardoned and restored to the rank of Commander for what she achieved on Qo’noS. Also, Saru (Doug Jones) and Stamets (Anthony Rapp) have been given medals of honour, and Tilly (Mary Wiseman) has been upgraded from cadet. 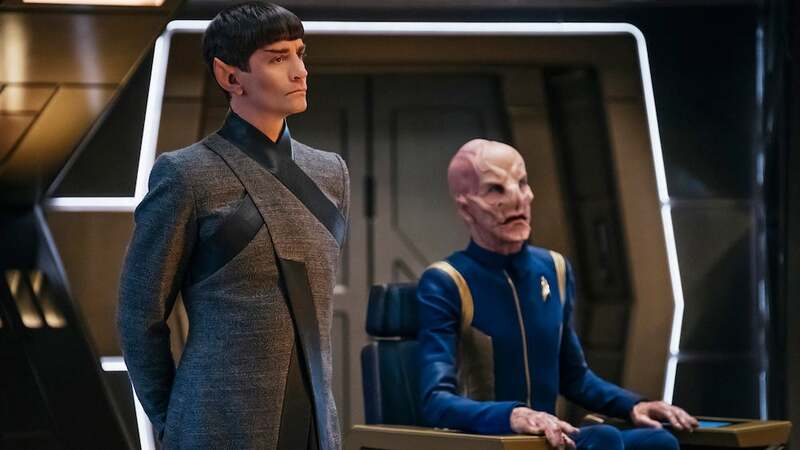 The moment had some rousing dialogue from Burnham about what it truly means to be part of Starfleet, but it was also very awkward because she was addressing two characters who facilitated Georgiou’s war crime — her father Sarek (James Frain) and Admiral Cornwell. Should they face some of disciplinary action for bringing Starfleet into disrepute? Or is it pardons all round because war’s tough and sometimes good people make bad decisions? It was also a bad choice to mix Burnham’s speech with shots of her friends getting their medals, because it sounded like she was commenting on them in particular. Akiva Goldman, Hollywood hack extraordinaire, co-wrote and directed this finale, which explains its faults to some extent. I mean, what was up with the last scene? The Discovery warps away to Vulvan, only to get a distress call from… oh, yes… the USS Enterprise, under the command of Captain Christopher Pike. While it was cool to see the Original Series version of the Enterprise, albeit with a Discovery-style redesign that didn’t betray its iconic look, does this show need to be playing that fan-servicing card so soon? I suppose it had to happen eventually, but it undermines Discovery by ending with that shot, before pushing us into the end credits with a retooling of the ’60s Star Trek theme tune. However, it’ll certainly be interesting to see who’s playing Pike in this universe, as it should theoretically be Bruce Greenwood (from the “Kelvin Timeline” movies), but I’m not sure if that’s legally possible. CBS has the television rights to produce Trek, but Paramount own the film franchise. And whoever’s playing Pike, shouldn’t Spock be aboard 10 years before Kirk’s day? Warp 9 to the Wikipedia pages!